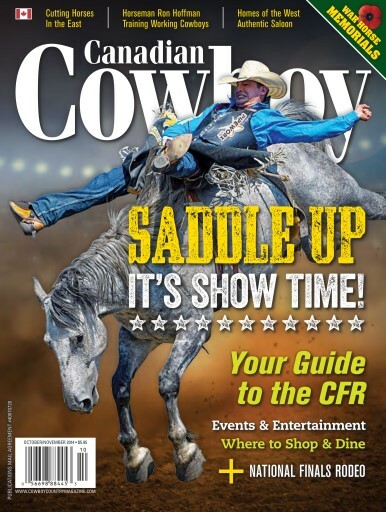 The October/November issue of Canadian Cowboy Country magazine features our 2014 Canadian Finals Rodeo Guide, showcasing the “must-see” events, shopping, nightlife and of course, Canada’s greatest rodeo! 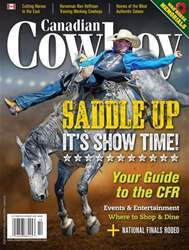 For our readers heading south, we also have included a fun guide to the Wrangler National Finals Rodeo in Vegas, baby! Plus; the inspiring story of finding and bringing home a serviceman who had been lost to history for 70 years, and a tribute to War Memorials around the world dedicated to the horse. All this and more in the October/November issue of Canadian Cowboy Country; on newsstands now!